Late Saturday afternoon a skier triggered an avalanche and was fully buried in the West Porter drainage of Millcreek just outside Salt Lake City. The skier lost her skis, poles, and one ski-boot. Given the time of day and the recent frigid temperatures, this obviously could have ended differently. However, the victim was recovered by her partner who was carrying the proper rescue gear and knew how to use it. 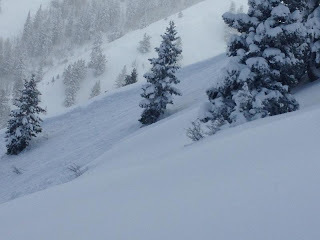 The skiers were then assisted by another ski touring party who stumbled across the avalanche. The third party was able to assist in the jury-rigging of a boot and was able to provide direction to local search and rescue who transported the victim to a local hospital where she was treated for a head injury. A shout out needs to go out to the local skiers in the Wasatch who were prepared to assist another party in need and to the local Wasatch Backcountry Rescue (http://www.wbrescue.org/)--one of the finest mountain search and rescue outfits in the country. Every area in North America has to deal with persistent weak layers in their snowpack from time to time (even California this year) and these problems are difficult to manage because of their unpredictability and their ability to behave outside of the norms--high crowns, remote triggers, avalanches on low angle slopes, etc. At this point, the persistent problems in Utah's Wasatch Mountains are so well known and well documented, that the only thing that is very difficult is controlling your own urges if you are a skier there. As Utah Avalanche Center's Brett "Cowboy" Kobernick states in this morning's forecast: It is up to you to control your urge to ski the steep and deep. He goes on to point out that, Persistent weak layers are called that because they persist long after the new snow itself has stabilized. They pose the greatest threat to backcountry travelers and are responsible for almost all of the avalanche fatalities that occur in Utah. Unpredictable, persistent, and responsible for most fatalities. Enough said. 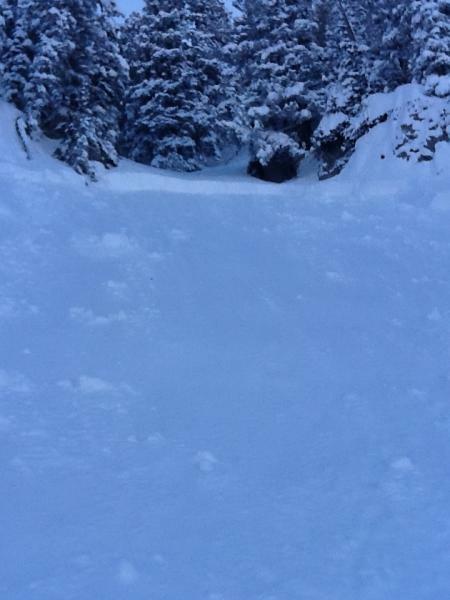 Maybe it is time to buy a plane ticket to Chamonix where they are having all-time deep, stable powder skiing?